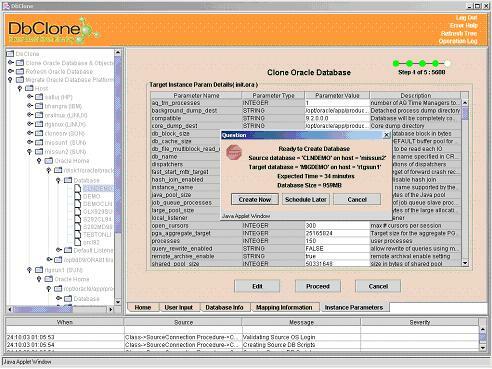 Databases registered with DbClone can be Migrated by few mouse clicks by selecting a source a Host, Oracle home and a Database on the tree and then selecting a matching Host, Oracle Home and entering the Target Database on the Central Window of DbClone. Proceed and cancel buttons are provided to navigate between the Central Windows shown below. 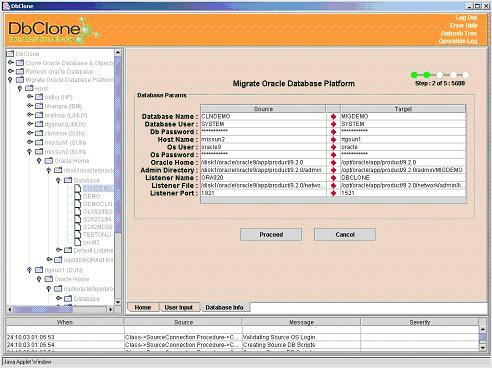 For example to migrate a database as shown in the console picture "MIGRATE’ under oracle home /opt/d09/ORA816/app/oracle/8.1.6 on server “missun2”, navigate the tree starting with “Migrate this Database” node until the source database is located. 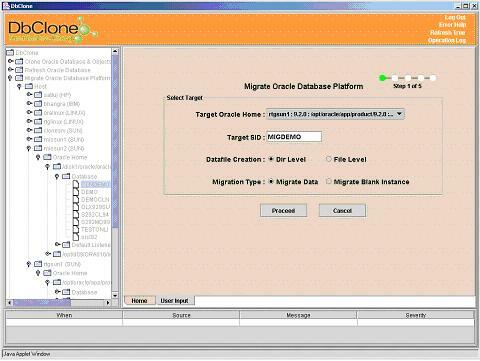 Click on the source database “MIGRATE” to start the migrate process. 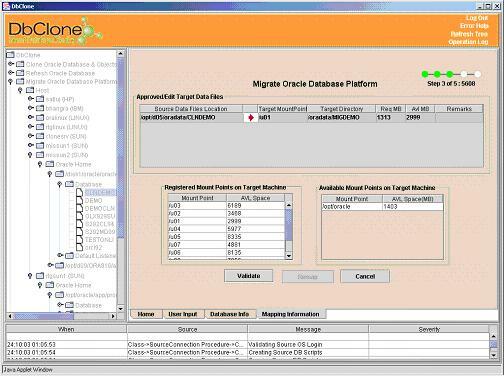 You will be asked to select the target oracle home into which you want to migrate the database, enter the target database SID, select the cloning method (online/offline) and migrate level (directory/file). Click on Proceed button to go the next step. 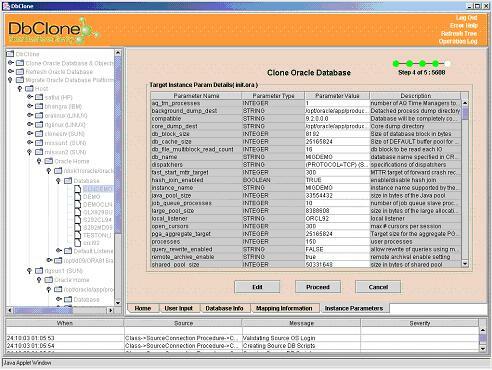 Fourth step of Cloning process displays the parameters of target database’s initialization file (initXXXX.ora). By default the parameters are same as the source database’s parameters. The target parameters can be modified if required. Click on Proceed button to start the actual cloning process. 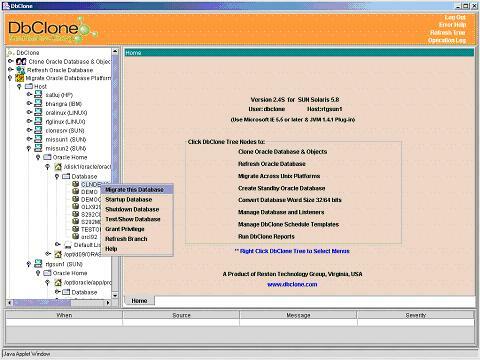 The ready to Migrate message allows to start the migrate right away or schedule the migration for later time.